It’s a bird! It’s a fish! No, it’s a searobin! In this Gulf of Mexico Wildlife Series: SeaRobin will be the topic discussion. 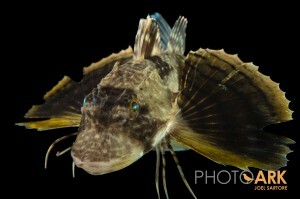 The SeaRobin, a most curious looking fish, inhabits the Gulf of Mexico waters. They become more active at night in the bays and salt water estuaries surrounding the Gulf. They are protected by a natural beautifully colored armor (in most cases) and bony heads. The pectoral fins have ornate patterns on them. 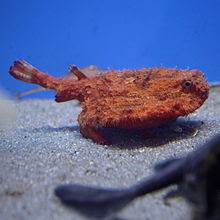 Unlike most other fish SeaRobins are vocal. They can produce audible sounds using the muscles attached to their bladders. This is the SeaRobins claim to fame, noted by most of the residents in the areas they inhabit. These creatures can be as large as 28" so imagine the sound they can make.